Palestinian prisoner Sami al-Janazreh entered his 40th day on hunger strike to protest his internment without trial or charge, the Palestinian Committee of Prisoners' Affairs said Wednesday. Mutaz Shqerat, a lawyer with the committee, told Ma'an the 43-year-old prisoner from al-Fawwar refugee camp near Hebron, continued to be held in solitary confinement and was suffering from pains across his body and could no longer walk. He is only drinking water and has refused to take vitamins, Shqerat said, adding that al-Janazreh had pledged to continue his hunger strike until Israel agreed to release him. Shqerat said the authorities in the Negev prison where Janazreh is being held had confiscated his personal belongings as a punishment for his hunger strike. Al-Janazreh was detained by Israeli forces on Feb. 15 and sentenced to six months in administrative detention, which allows for internment without trial indefinitely. He had previously spent seven years in Israeli jails, all in administrative detention. Israeli officials claim the practice is an essential tool in preventing attacks and protecting sensitive intelligence because it allows authorities to keep evidence secret, but it has been strongly criticized by the international community as well as activists. Many Palestinians have gone on hunger strike to protest the practice, with journalist Muhammad al-Qiq coming close to death earlier this year after he went 94 days without food before Israel finally agreed to his release. As of February this year, Israel was holding around 670 Palestinians in administrative detention, nearly a 10th of Israel's 7,000 Palestinian prisoners, according to Palestinian prisoners' rights group Addameer. The Israeli Occupation Forces (IOF) arrested on Wednesday a 15-year-old Palestinian girl at the main checkpoint between Bethlehem and occupied Jerusalem for allegedly having a knife in her possession. Local sources told the PIC news reporter that Nuran Balboul, 15, was arrested while trying to cross Bethlehem checkpoint into occupied Jerusalem. Israeli forces claimed that the detained minor was having a knife in her schoolbag. Nuran’s brother strongly denied the Israeli claims, saying that his sister was detained following a "heated" argument with a female Israeli soldier inside the checkpoint. A Palestinian woman identified as Basima Abu Aker was also detained before being shortly released for trying to prevent Nuran’s arrest at the checkpoint. Nuran is the daughter of Ahmad Balboul, a prominent leader in al-Aqsa Martyrs Brigades, who was killed along with three of his comrades by IOF soldiers in March 2008. Israeli soldiers kidnapped, on Wednesday at dawn, thirteen Palestinians, including children, in different cities and towns in the occupied West Bank. Among the children are several university students. The Nablus office of the Palestinian Prisoners’ Society (PPS), in the northern part of the occupied West Bank, said the soldiers kidnapped a journalism student in the an-Najah National University in Nablus, identified as Naseer Radwan Abu Thabet, 21, from Beit Dajan town. The soldiers kidnapped another Najah student, identified as Abdul-Hafith Shehada, 21, from Beit ‘Orif village; he is a student of the Engineering Department, and Mustafa Salah Khweira. The PPS added that the soldiers also invaded and searched many homes in the Old City of Nablus, and withdrew later without conducting any arrests. In addition, several Israeli military vehicles invaded Abu Dis town, east of occupied Jerusalem, searched a few homes and kidnapped two Palestinians, identified as Yousef Dandan, Eyad Anwar Sha’lan, 16, and Mohammad Anwar Sha’lan, 16. The soldiers also invaded Beit Fajjar town, south of Bethlehem, and kidnapped two child identified as Anas Shaher Deeriyya, 15, Shaher Fadel Deeriyya, 14, after searching his family’s home. Also in Bethlehem, the soldiers hurled stones on a number of homes in Khalayel al-Louz area, detonated the door of one of them, and invaded it. 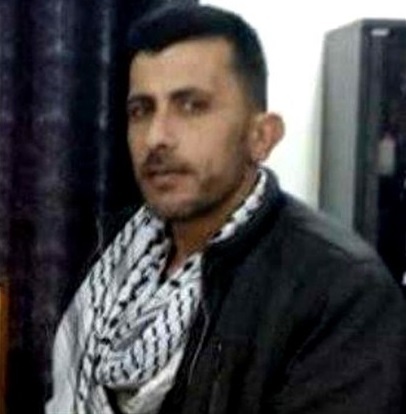 In Hebron, in the southern part of the West Bank, the kidnapped Hisham Issa al-Qawasma, from his home in the center of the city, while another Palestinian, identified as Daoud Ahmad Abu Turki, 32, was taken prisoner while trying to cross back into the West Bank, through the al-Karama border terminal with Jordan. 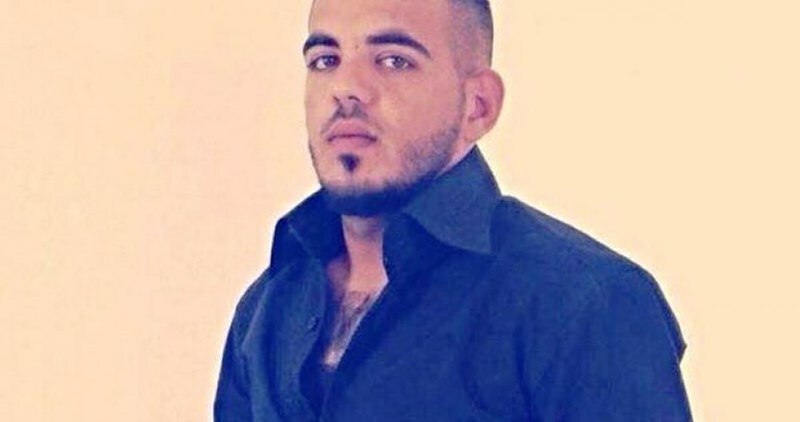 In the northern West Bank district of Jenin, the soldiers searched homes and kidnapped one Palestinian, identified as Mahmoud Kamal ar-Razi, 25, while Mahmoud Abdul-Ra’ouf Jarrar, 20, was kidnapped from his home in the nearby district of Tulkarem. In Jericho district, the soldiers invaded the town of al-Jiftlik, and kidnapped a Palestinian identified as Zeidan Mohammad ‘Annouz. 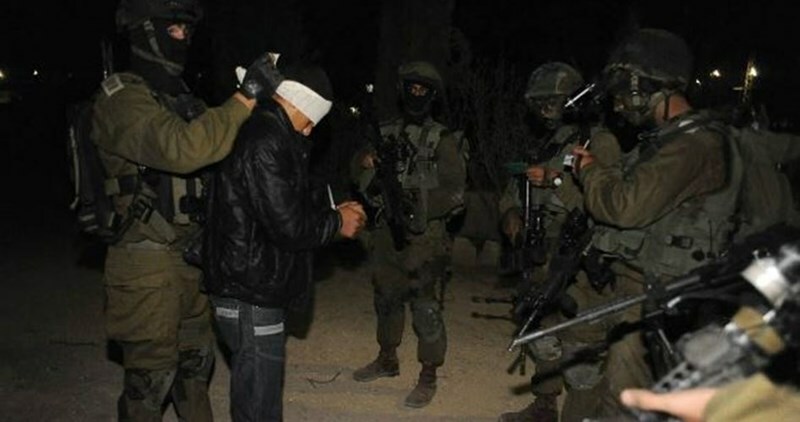 On Tuesday evening, the soldiers kidnapped five Palestinians, including two children, in occupied Jerusalem, and in the central West Bank district of Ramallah, including one who was kidnapped while attending his brother’s trial in a military court. The Israeli Occupation Forces (IOF) arrested at dawn Wednesday two university students after raiding Nablus city to the north of the West Bank. Eyewitnesses said that hundreds of Israeli soldiers broke into the Old City of Nablus and carried out military drills in the area. The Israeli troops then pulled out of the Old City to the outskirts of the city, the sources added. IOF soldiers also stormed Beit Dajan, town east of Nablus, and broke into a local home belonging to Sheikh Radwan Abu Thabet before arresting his son, a student at al-Najah University. A similar raid was carried out in Urif town, south of the city, where a second university student was detained. As student elections approach, Israeli forces have increased arrest campaigns against Palestinian students affiliated with the Islamic bloc. Meanwhile, Israeli forces stormed overnight Beit Kad town, east of Jenin, which led to the outbreak of confrontations between locals and those forces. Israeli forces stormed the town in large numbers amid heavy fire of teargas bombs and erected a military checkpoint, local sources said. Local youths responded by throwing stones at the soldiers. Several young men choked on teargas during the clashes. A make-shift checkpoint was also erected at the northern entrance of Jenin after Israeli forces carried out combing operations in the area. A court session for the prisoner Mohamed Haroub was held Monday in Ofer court, family sources revealed on Tuesday. The prisoner’ mother said that a state of tension spread during the court session after Israeli forces prevented her from shaking hands with her son. Speaking exclusively to the PIC, the mother pointed out that the Israeli prosecution called for sentencing Mohamed for ten life terms imprisonment. “During the hearing, the court clerk asked Mohamed to stand up straight and to pay attention to the judge. "I will be soon released during the next prisoners swap deal against your will", the mother quoted her son as saying to the judge. Mohamed Haroub, from Dura town in al-Khalil, was arrested in November 2015 after being allegedly involved in an anti-occupation attack. The Israeli police forces arrested Tuesday evening five Palestinians including two children in occupied Jerusalem, bringing the number of Tuesday’s Jerusalemite detainees to eight. The Palestinian Prisoners Society (PPS) revealed that two elderly persons were among the reported detainees after Israeli policemen brutally stormed their homes in the Old City. The two detainees were taken to Qishleh detention center for investigation. Another elderly man was arrested Tuesday morning from his house in Silwan town east of the occupied city. His two computers, two lap tops, two smart phones, wireless and Ipad were confiscated during the Israeli raid into his house in addition to important files and photos of the two Palestinian leaders Yasser Arafat and Ahmed Yassin, family sources told Quds Press. The three elderly men’s arrest is believed to be behind their almost-daily presence in al-Aqsa Mosque, where dozens of Palestinian sit-inners were recently arrested and denied entry to the holy shrine for different periods. Also on Tuesday, Israeli forces arrested two Palestinian minors from Silwad town east of Ramallah as clashes erupted at the western entrance to the town. The clashes broke out when Israeli forces stormed the area and chased Palestinian vehicles, confiscating one of them. Meanwhile, Israeli police closed on Tuesday a building in occupied Jerusalem belonging to the Palestinian Endowment Authority after attacking two guards at its entrance. Director of al-Aqsa Mosque Omar al-Kaswani said that Israeli policemen violently stormed on Tuesday morning the building and forced the guards to remain outdoors before closing the building. Al-Kaswani strongly denounced the Israeli attack on the authority’s properties and on the two guards, calling for reopening the building. Israeli soldiers kidnapped, on Tuesday evening, four Palestinians, including two children, in occupied Jerusalem, and in the central West Bank district of Ramallah. One Palestinian was kidnapped while attending his brother’s trial in a military court. 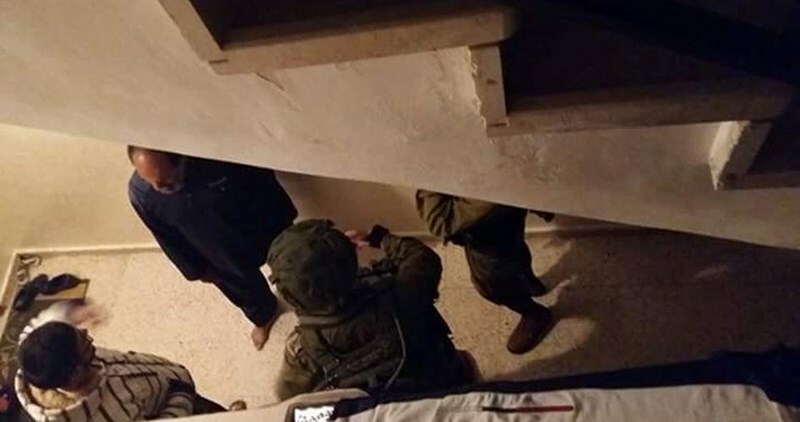 Nasser Abu Qous, the head of the Jerusalem Office of the Palestinian Prisoners’ Society (PPS), has reported that the soldiers invaded homes in Old City, searched them, and kidnapped two Palestinians. He added that the kidnapped Palestinians have been identified as Jamal al-‘Akkawi and Marwan al-Hashlamoun. They were both moved to the al-Qashla interrogation center, in the Hebron Gate area. 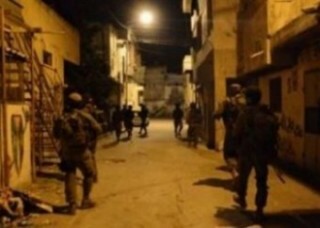 The soldiers also invaded Silwad town, east of the central West Bank city of Ramallah, searched a number of homes and kidnapped two children, identified as Ahmad Mohammad Abdul-Salaam, 16, and Omar Nael Mohammad Hammad, 16. The two were taken prisoners following clashes that took place in the town, after several army vehicles invaded its Western area. The soldiers also fired live rounds, and confiscated a Palestinian car. In related news, the soldiers kidnapped a young man from Ya’bad town, south of the northern West Bank city of Jenin, while attending his brother’s trial in the Salem military court. The Palestinian Prisoners’ Society said the kidnapped Palestinian has been identified as Mohammad Kamal Razzi, 25. The Palestinian Prisoner Society (PPS) said Tuesday that five Palestinian prisoners in Israeli jails complained about their exposure to physical violence during their detention by soldiers. The society said it documented the testimonies of those abused prisoners after its lawyer Jacqueline Fararjeh paid a visit recently to Etzion jail and listened to their complaints. Prisoner Izzuddin Khaled, 17, Imad Abu Sol, 16, and Izzuddin Abu Sol, 18, told the lawyer how they were brutally beaten by Israeli soldiers with their rifle butts and hands as they were herded together in handcuffs from their homes in Aroub refugee camp in al-Khalil to a military tower. 28-year-old Nidal Subaihat, from Beit Duqqu town in northern Jerusalem, and 20-year-old Firas Abu Sneineh, from al-Khalil city, also explained how they were physically assaulted by soldiers during detention. Prisoner Subaihat said that seven soldiers embarked on beating him severely on his head, arms, and legs after they arrested him. 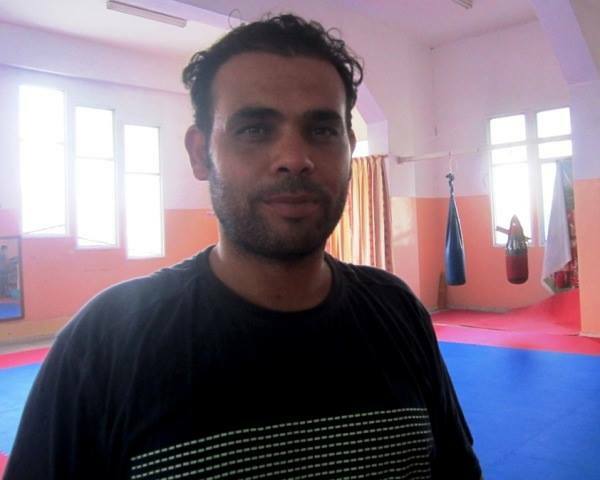 Israeli forces on Monday detained the trainer of a Palestinian blind karate team as he and the team were returning to the Gaza Strip from an international tournament in Dubai through the Erez crossing. Sources told Ma'an that Hasan al-Rae, 37, and five members of the al-Mashtal Club's blind karate team were detained while passing through the crossing. The team was held for nine hours before they were allowed to move on into the blockaded coastal enclave, while their trainer, al-Rae, remained in Israeli custody. The al-Mashtal Club in Gaza City has received international media attention in recent months for its efforts to use karate to give blind Palestinian children a sense of hope amid Gaza's deep poverty. In an interview with UAE news site The National last year, al-Rae said that many blind Palestinian children initially joined the club hoping to learn to defend themselves, because "many of them face violence as others look at them as second-class citizens." He said: "At first I have had to teach them that God may have made you blind, but you have other abilities -- everyone has huge powers inside them, and they're supposed to show the world that it's not a big deal to be blind." According to The National, al-Rae has taught karate across the occupied Palestinian territory for 10 years, and has hopes to take competitors to the Tokyo Olympics and Paralympics in 2020. The father of four formerly trained Palestinian Authority police forces in Gaza, and continued to receive a salary from the PA even after Hamas took power in the coastal enclave. Palestinian sports players face severe movement restrictions by Israel, and restrictions on Palestinian football players led to a high-profile bid to ban Israel from FIFA last year, although PA officials backed down at the last minute. Earlier this month, Palestinian runners from Gaza were denied permission to take part in a marathon in Bethlehem, and activists have recently put a spotlight on the case of a circus trainer, who specialized in working with disabled children, who was jailed without trial last December. The PA committee for prisoners and ex-prisoners revealed in a new report issued Tuesday that 5,000 Palestinians were arrested since the outbreak of Jerusalem Intifada on October 1, 2015. The report pointed out that 1,900 children, 180 women, and 85 injured persons were among the detainees. The report also said that 40 Palestinian prisoners spent more than 20 consecutive years in Israeli jails including the prisoners Karim Younis and Maher Younis who spent 34 years behind bars. The prisoner Nael Barghouthi spent 35 years separately in Israeli jails where he was re-arrested in 2014 after being released during Shalit Deal. According to the committee, the Palestinian detainee Lina Jarbouni, who spent 14 years out of her 17-year sentence, is considered the oldest-serving Palestinian female prisoner in Israeli jails, while Dima al-Wawi, 12, is considered the youngest Palestinian prisoner. The experience of Israeli arrest, interrogation, and detention causes severe psychological harm, and leaves lasting scars on Palestinian detainees, their families, and community. The Israeli Occupation Forces (IOF) carried out at dawn Tuesday a large-scale raid and arrest campaign across West Bank and occupied Jerusalem. 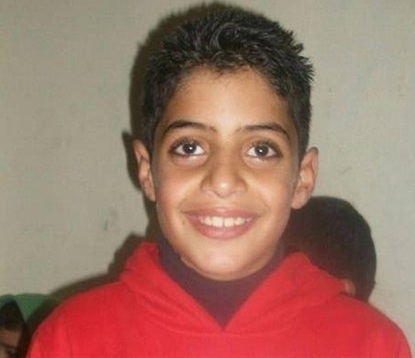 A child and a photographer were among several detainees reported during the raid. Israeli Army claimed in a statement issued Tuesday that 12 “wanted” Palestinians were detained for allegedly being involved in anti-occupation attacks. Three youths were arrested in Tulkarem including a photographer, while an activist in Hamas Movement was detained in Salfit. Four other arrests were reported in occupied Jerusalem. A second activist in Hamas Movement was arrested in al-Khalil, while three citizens were detained in Bethlehem. Meanwhile, the PIC reporter in Jenin said that a young man was arrested early this morning after Israeli forces brutally stormed his house. Israeli forces also deployed in large numbers throughout the city and carried out combing operations. A second youngster was detained at Za'atara checkpoint before being taken to an unknown detention center. Several Palestinian vehicles were also stopped and searched at the checkpoint. On the other hand, a group of settlers brutally attacked a number of Palestinian children while on their way to school in al-Khalil. A 10-year-old child suffered several injuries and bruises all over his body during the settlers’ attack. 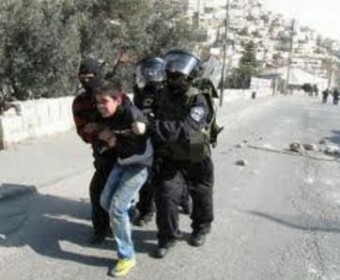 A 20-year-old young man was detained by Israeli forces as he intervened to protect the children. 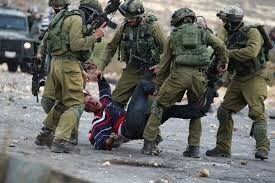 The detainee was taken to an unknown detention center and charged with attacking the settlers! Despite living under a brutal military occupation, Palestinian towns and villages located near illegal Israeli settlements are subjected to regular attacks by Israeli settlers. Family of 15-year-old girl Istabraq Ahmad Nour on Monday raised alarm bells over the harsh detention circumstances endured by their injured daughter in Israeli jails. Speaking in a statement to the PIC, Istabraq’s father said he was able to visit his daughter in the HaSharon jail for the first time since she was attested on October 21. Her mother, however, was banned from visiting her under the security pretext. The father quoted his daughter as launching a cry for help over the non-humanitarian detention conditions and medical negligence perpetrated by the Israeli prison authorities despite the excruciating pains she has been enduring as a result of an Israeli-inflicted hand injury. 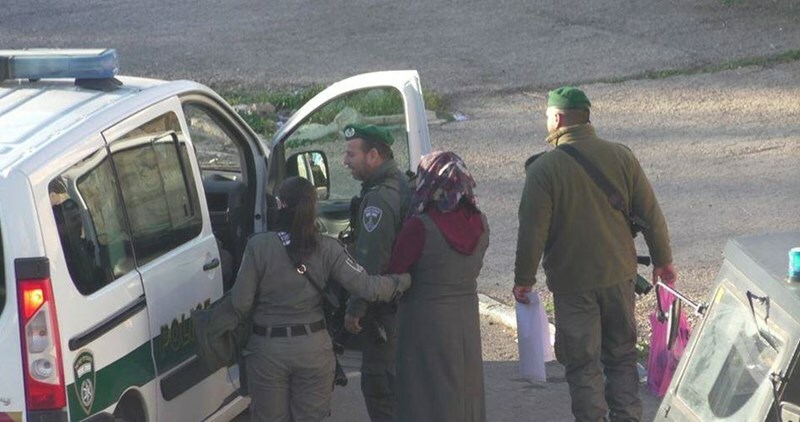 The Israeli occupation forces arrested Istabraq on allegations that she came within the reach of the illegal Israeli settlement of Yitzhar, in Nablus. She had been subjected to harsh torture and investigation shortly after the arrest. The father appealed to the human rights institutions to urgently step in and save his daughter before it is too late. He further said that the prison cells lack the basic humanitarian needs, adding that his daughter, along with other female detainees, have been struggling with cockroaches and suffering poor hygienic conditions inside a prison section to which they have been recently transferred. He further called on the Red Cross and concerned human rights bodies to make a field visit to Israeli jails and keep tabs on the detainees’ tragic situation. The Israeli occupation forces (IOF) on Monday evening arrested a Palestinian journalist at a military checkpoint in southern Nablus province, bringing the number of Palestinian journalists held in occupation jails to 16. 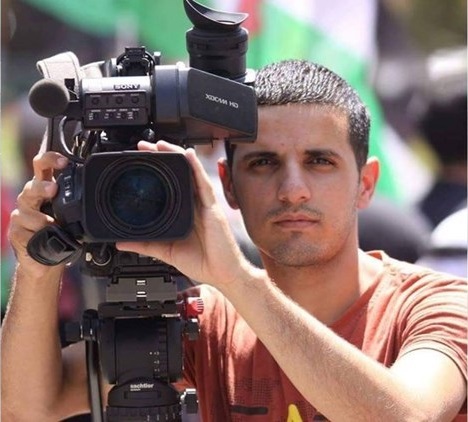 A PIC journalist said the IOF arrested the photojournalist Hazem Naser at the Yitzhar checkpoint, in the northern occupied West Bank, and dragged him to the Kadumim camp. Earlier, on Sunday, the IOF kidnapped the Palestinian female journalist Sameh Dweik from her own family home in Silwan’s neighborhood of Ras al-Amoud, in Occupied Jerusalem. The Committee to Support Journalists called on, in a statement issued sometime earlier, the international human rights organizations to urgently intervene and work on ending Israeli violations against Palestinian journalists. The committee said the abductions make part of Israeli attempts to quell freedom of expression and prevent an authentic coverage of Israeli aggressions on the Palestinians. Over recent months, Palestinian journalists have increasingly been targeted with interrogation summonses and arbitrary abductions by the Israeli occupation army. A 12-year-old Palestinian girl charged by an Israeli military court with attempted manslaughter is expected to be released early following requests filed by her parents, a lawyer said Tuesday. Iyad Misk, who heads the Palestinian Committee for Prisoners' Affars' legal department, told Ma'an that the Israeli prison service had agreed to the early release of Dima al-Wawi, believed to be the youngest female Palestinian prisoner held by Israel. 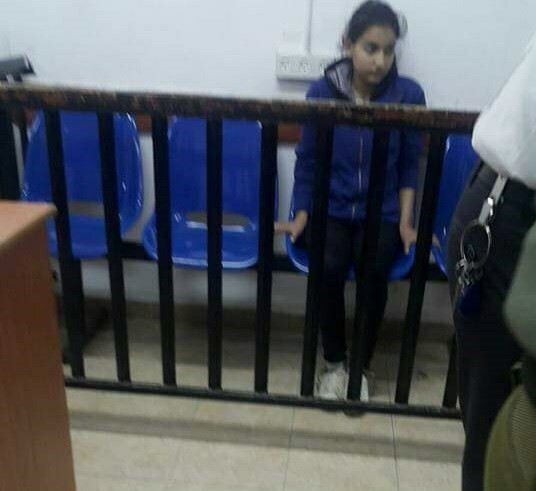 Palestinian lawyer Abeer Bakr applied for the child's early release on behalf of her parents last week, Misk said, adding that it is now expected that al-Wawi will be released on April 24, around two months earlier than her original sentence. The 12-year-old's parents, backed by a public campaign, sought to end their daughters' detention, which they said violated both Israeli and international law regarding the detention of children. While Israeli law does not allow prison sentences for children under the age of 14, Israeli military law -- which applies to Palestinians living under military occupation in the West Bank -- allows for children as young as 12 to be charged for "nationalistic-motivated" violent offenses. Al-Wawi was detained on Feb. 9 and sentenced in an Israeli military court on Feb. 18 for attempted voluntary manslaughter and the illegal possession of a knife, after she allegedly went to the illegal Karmei Tzur settlement with the intention of stabbing settlers. Her detention was caught on tape and broadcast by Israeli Channel 1, where the girl is recorded admitting her intention to carry out a stabbing attack. Al-Wawi's parents were also forced to pay 8,000 shekels ($2,100) in the plea deal. Al-Wawi's lawyer, Bakr, told Israeli daily Haaretz the 12-year-old girl was being held with adult Palestinian prisoners and faced restrictions generally applied by Israel's prison service to so-called "security" prisoners, including denial of visits from both her family and a social worker. Violations against Palestinian children in Israel's military court system are widely documented. Over the past six months, the number of Palestinian child detainees has more than doubled, with 406 Palestinian children in Israeli custody as of February. 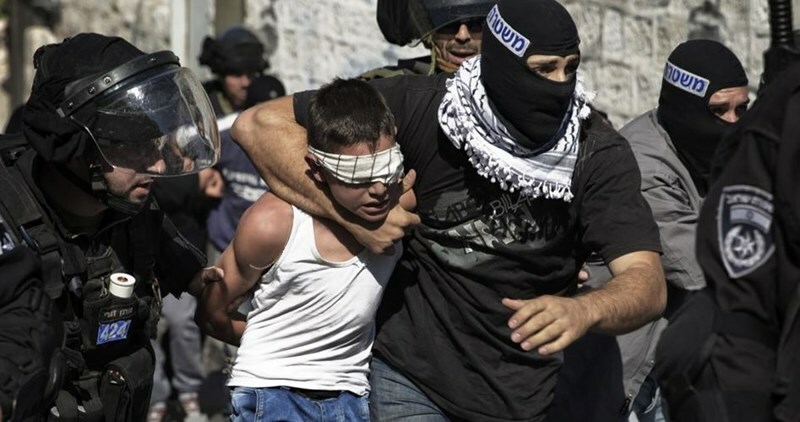 Among those, 108 are under the age of 16, and children's rights group Defense for Children International-Palestine (DCIP) has said that three out of four Palestinian child detainees experience physical violence during arrest, transfer, or interrogation by Israeli forces. 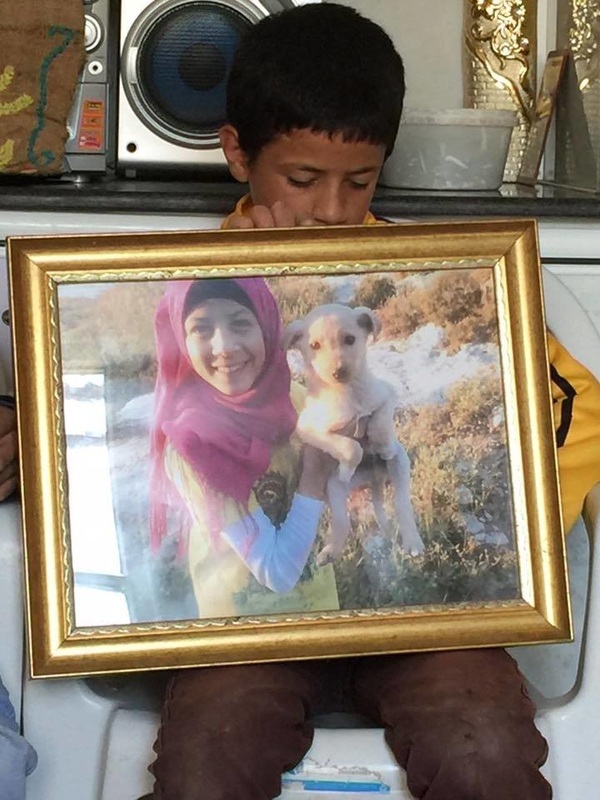 The Israeli prison authority on Monday evening decided to release 12-year-old Dima al-Wawi, the youngest prisoner in the world, in the coming days. WAFA news agency quoted lawyer Rania Ghosheh as saying that the prison authority informed her of its decision to release the girl child on April 24 after several requests made in this regard by the Palestinian commission for detainees' affairs. The Israeli occupation forces kidnapped Wawi on the ninth of February near Karmei Tzur, north of al-Khalil city, and was sentenced to four month in prison. She is now in Hasharon jail.